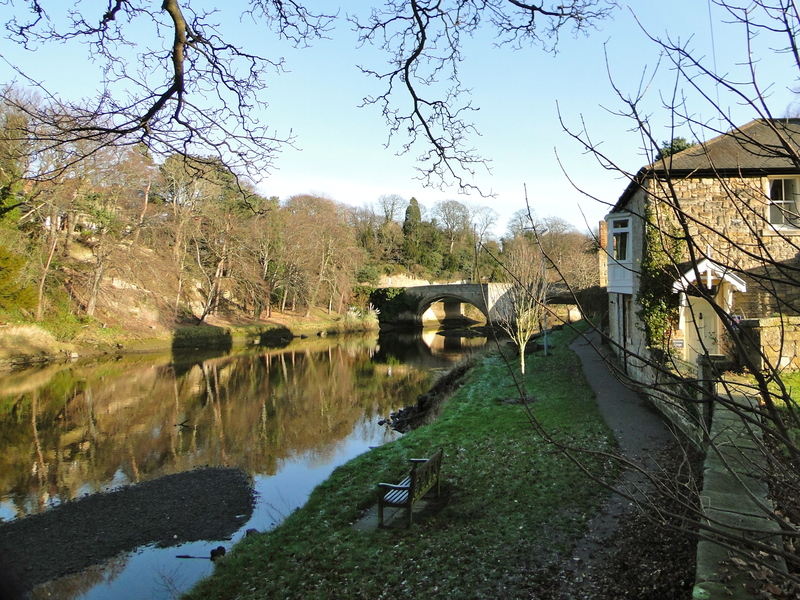 I should have said that I was walking round Warkworth with Elaine. (Julie, my better half, doesn’t walk too well, so tends to find a convenient cafe, or at least a convenient seat, while I go off exploring). Elaine – up from the south – bought the Guidebook and gave me the guided tour. Thank you (he says), reading the Guidebook which you paid for and I “borrowed”. We spotted the doorway leading up to the room above the porch – home of the Curate. 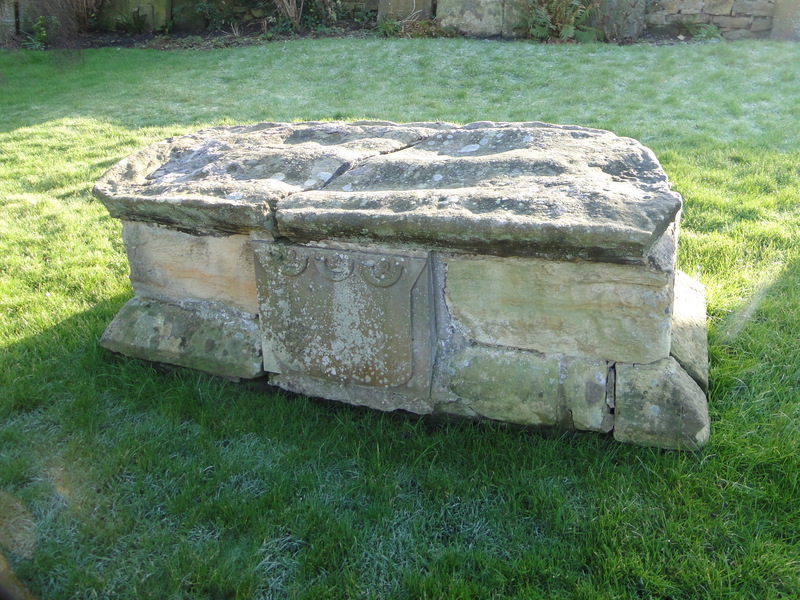 (Having had a break-in at St Mary’s this week, perhaps I should go back to living on the spot. 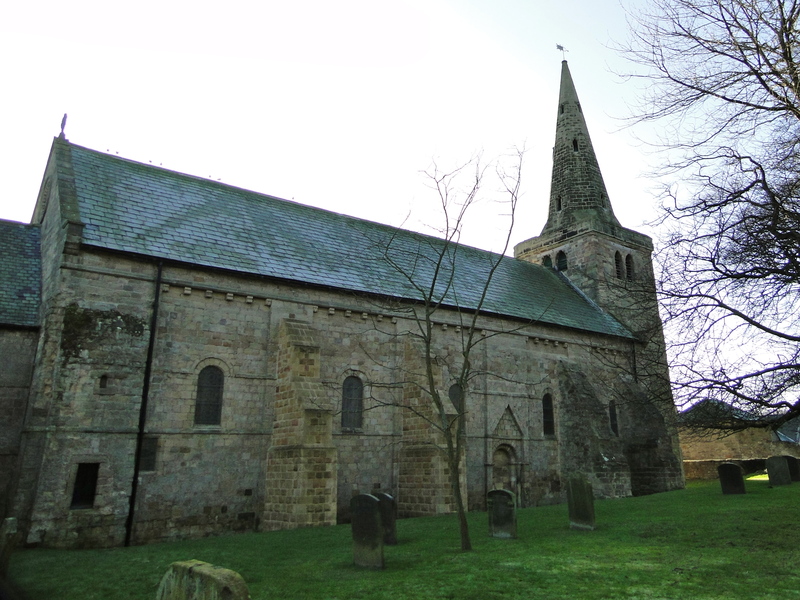 Incidentally, if you read the Journal’s report – http://www.journallive.co.uk/north-east-news/todays-news/2012/01/19/st-mary-the-virgin-church-in-ponteland-thieves-steal-30-collection-61634-30153467/ – you will see I apparently referred to St Mary’s as “one of the most admired buildings in the North East”. 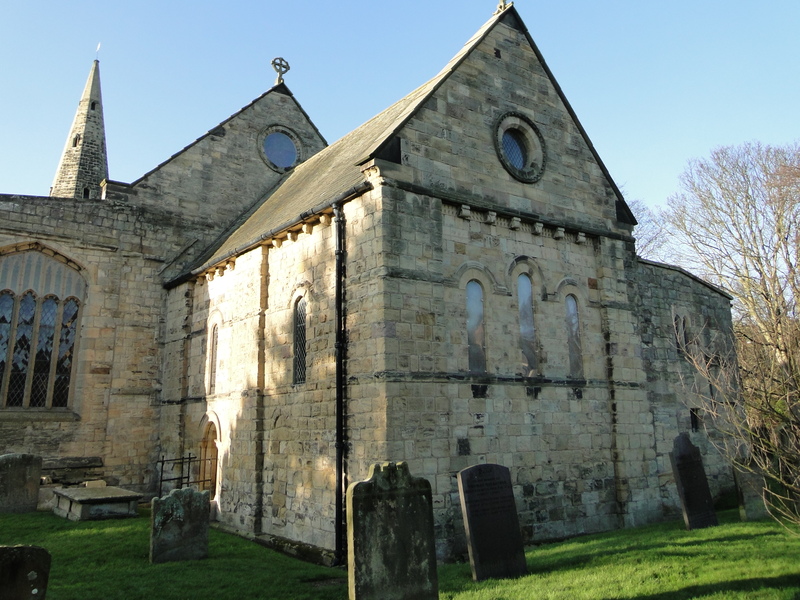 Durham Cathedral, Cragside, Newcastle Central Station, The Sage … St Mary’s Ponteland … ). 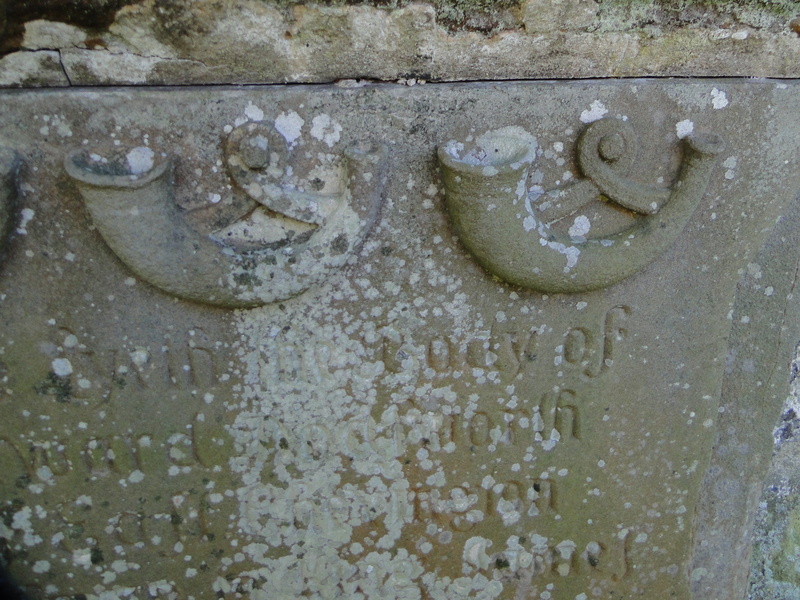 This is a beautiful gravestone – how on earth do you carve such beautiful lettering? 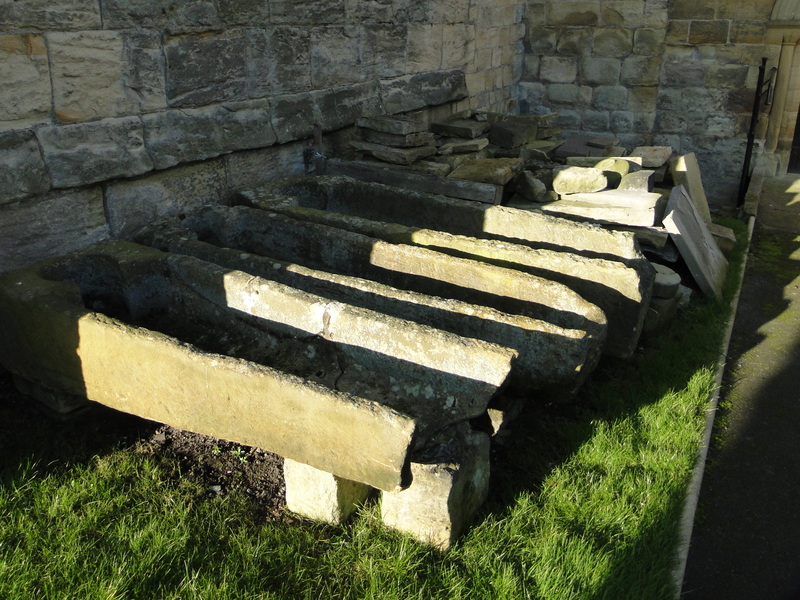 These medieval coffins, which were found under the church floor, are now outside by the Chancel door. The January sun is so bright, shadows so marvellous – but, if you’re not a photographic expert, it makes the photos difficult. 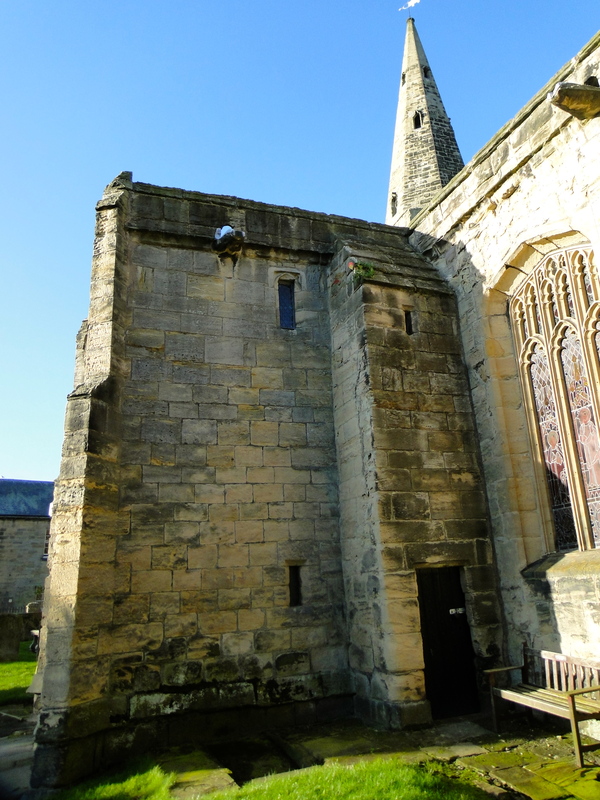 The East End and the North Wall are both fascinating. I’m not enough of an architectural historian to work them all out, and it was a bit cold. Two of the buttresses are 21st century buttresses – they rest on 22 metre piles down to the bedrock, to quote the guidebook, “against which the church can lean for support.” I wonder how many buttresses have been built in the 21st century? 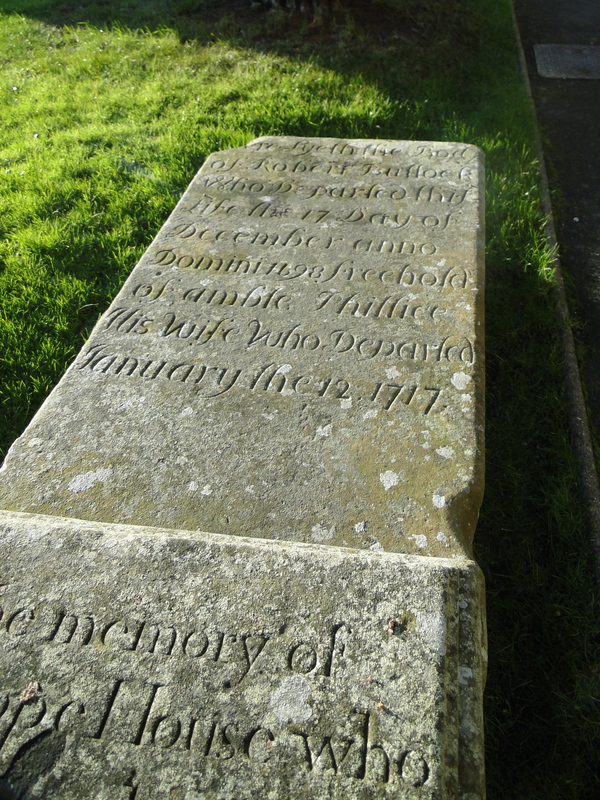 I had not realised how close the river came to the churchyard, and it is a beautiful river. I must come back when it is warmer, and have another explore. A clock was given in 1700 by George Lawson of Gloster Hill. 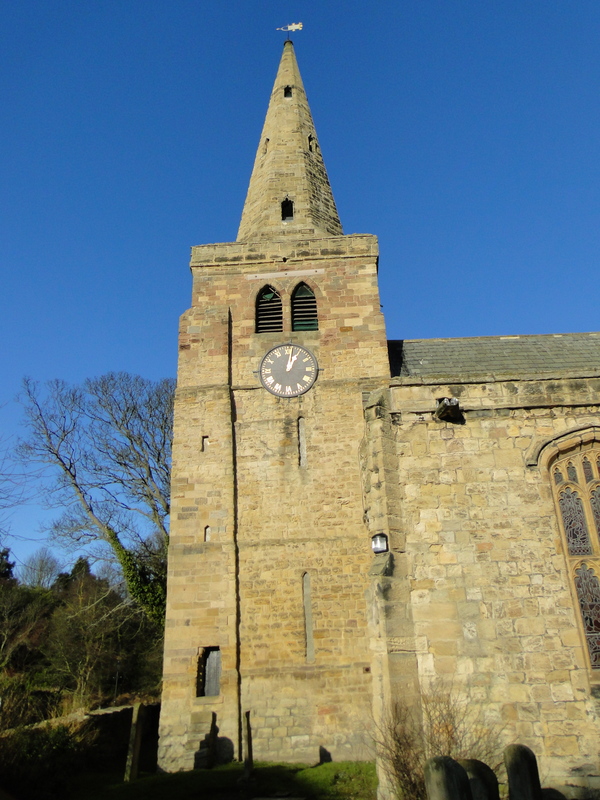 It was replaced by the present clock in 1875, installed by Mr Joyce Whitchurch for the sum of £154 12 shillings. The clock face is made of slate with gilded numerals. It is wound by hand every week, taking 52 turns for each of the three weights which drive the hour chimes, the quarter chimes, and the clock mechanism itself. (As I said, they have done a brilliant Guidebook). I have long been a reader of “From the Vicar” , in the Grapevine. My mother in Law, who lives with us down here in Fareham Hants is a subscriber to that magazine – it reminds all of us of our life in and around Ponteland and of the Church in which I was married in 1974 – but I digress.